Stuck in the mud? 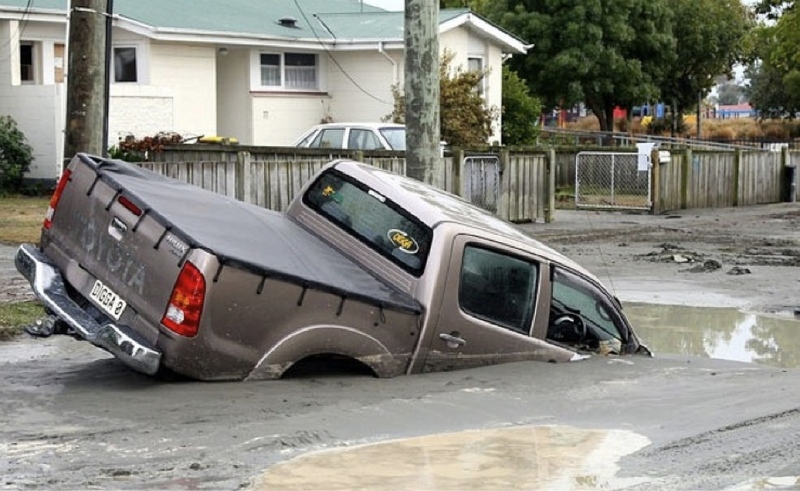 Sinkholes and subsidence caused by liquefaction caused widespread damage in Christchurch. To this day, areas that subsided in the earthquakes experience more seasonal flooding. Source: news.com.au.